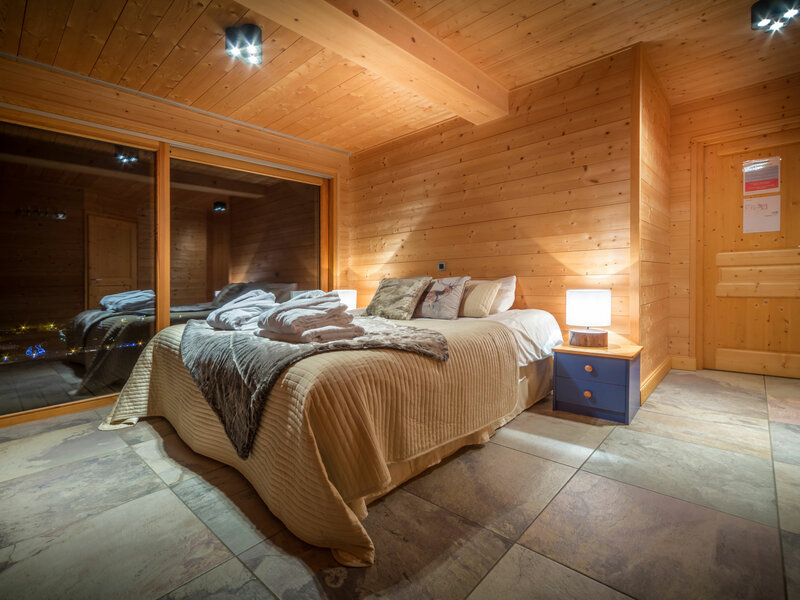 A modern luxury catered chalet for up to 14 in Morzine with outdoor hot tub & complimentary shuttle service. 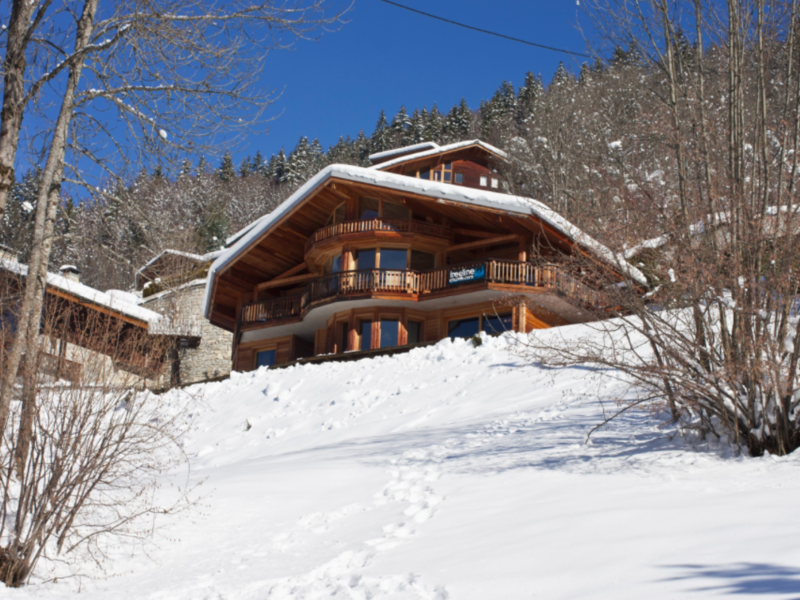 Chalet Laurent is our flagship luxury chalet that really has the WOW factor. With stunning panoramic south facing view & luxury home comforts. 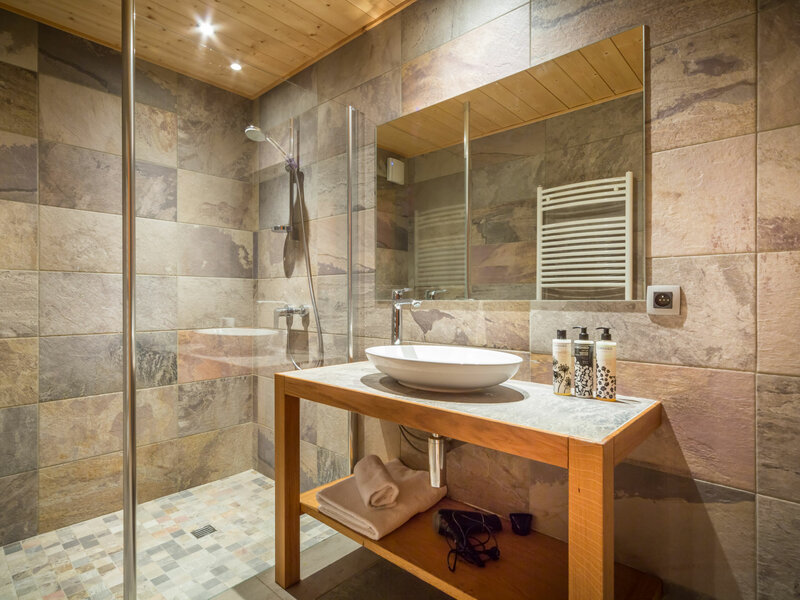 Chalet Laurent is in a truly breath-taking location, with a stylish modern design and amazing amenities. The chalet allows you to enjoy the winter sun & the spectacular panorama across the village with arguably the best views in town. With its huge open plan kitchen, dining area & lounge complete with spectacular glass-fronted fire, there is no doubt that this is true luxury accommodation. The 4 ensuite bedrooms are spacious allowing up to 14 to sleep comfortably. 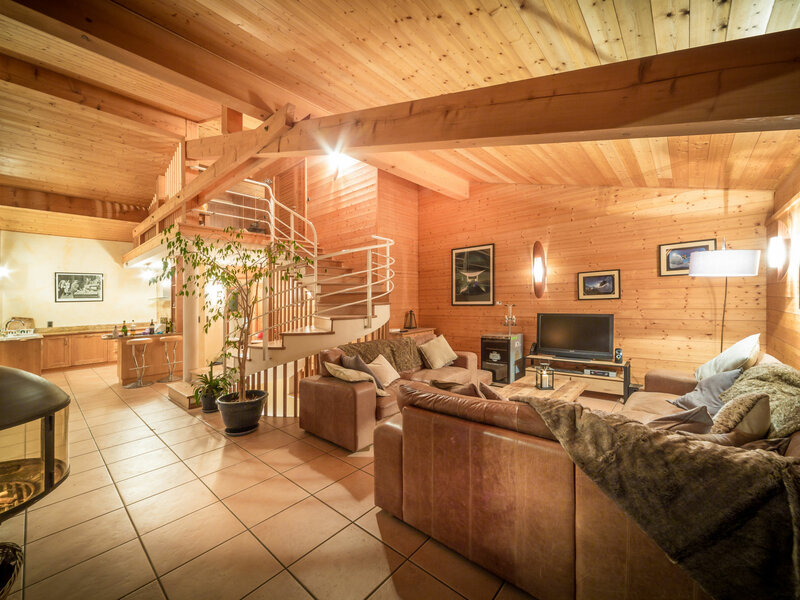 The chalet is nestled into the hill side with an amazing full glass front from floor to ceiling, providing you with uninterrupted and unrivaled panoramic views of Morzine. A large terrace with outdoor hot tub lets you take this view in with a cold drink at the end of your days skiing or snowboarding, easing those tired muscles with a cold beer in hand while waiting for your delicious evening meal to be served. It has a large garage with table tennis & plenty of space for safe storage of equipment. There is WiFi and media centre in the open plan living space to ensure that everyone is fully entertained both on and off the mountain. Complimentary service to and from the lifts are also provided. 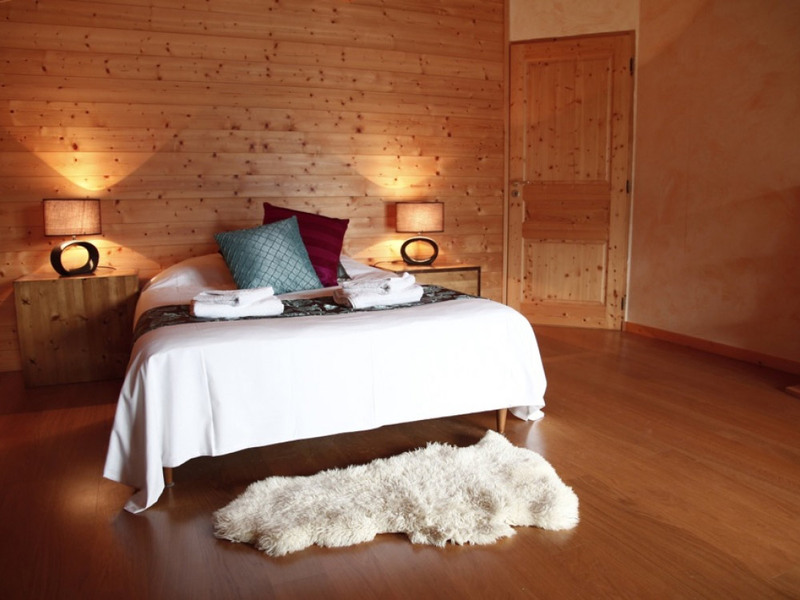 The chalet has 4 large en-suite bedrooms and sleeps up to 14 people. Chalet Laurent is available as a catered chalet through the winter season then self-catered for the summer (with catering options available). 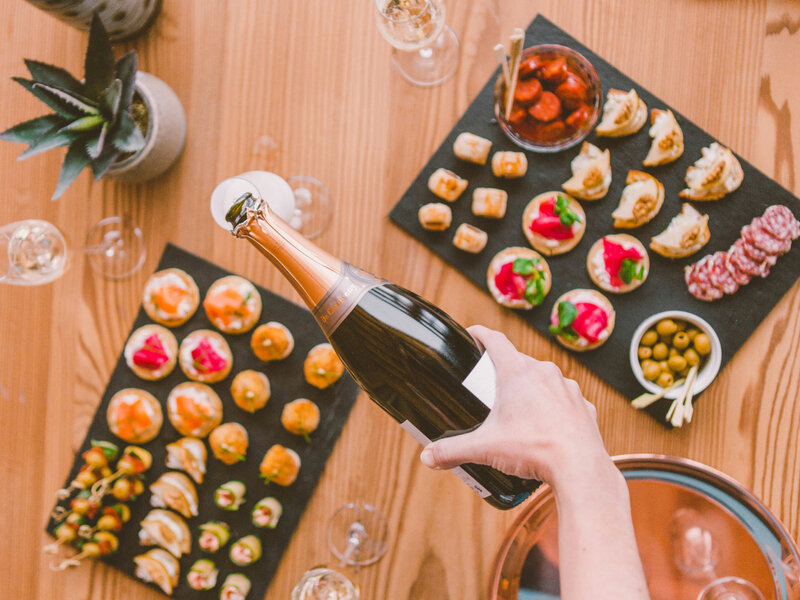 Our experience and knowledge ensure the highest standards in taste and presentation. Not only is the food delicious but there will always be plenty to ensure you are fully refueled for the following days of fun. We will serve free flowing good local wine. We all know how well deserved a little ‘drop’ is after a long day on the mountain, which is why we will welcome you back in the afternoon with homemade goodies and a vin chaud to warm those aching muscles! To compliment your delicious evening meal we will serve free flowing good, local wine. A delicious port will also arrive with your cheese board. And it doesn’t have to end there: you can wind down the evening in front of the log fire while enjoying a tipple from our well stocked mini bar of spirits, wine, beer and treats. · Wake up to freshly baked croissants and pain au chocolate, locally delivered bread and full continental breakfast in a buffet style. We also serve a different hot option daily. 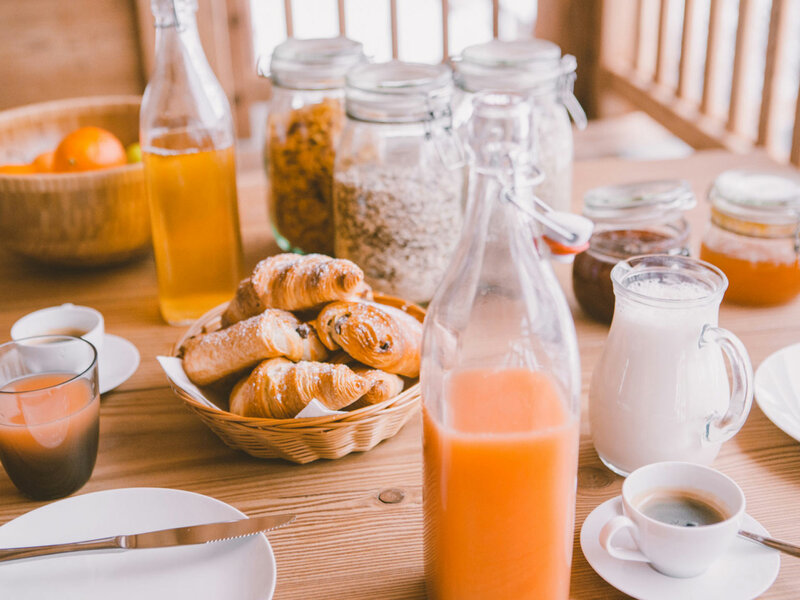 · Afternoon Tea consists of Tea, Coffee, hot chocolate (which is always available) and a freshly baked cake, cookies or other baked delight buy the chalet hosts. 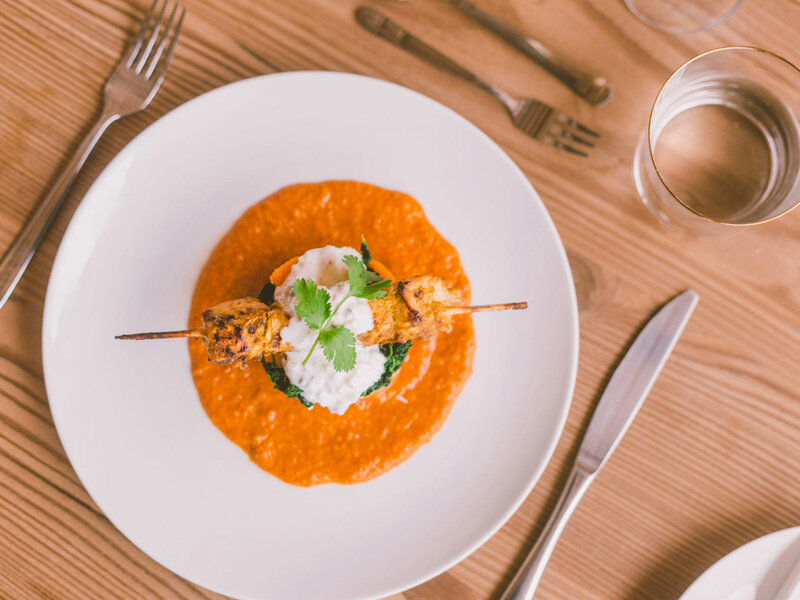 · Delicious 4 course evening meal 6 nights of the week (one staff day off) with plenty of wine. Following dinner there will be coffee served. Home made breaded chicken pieces. 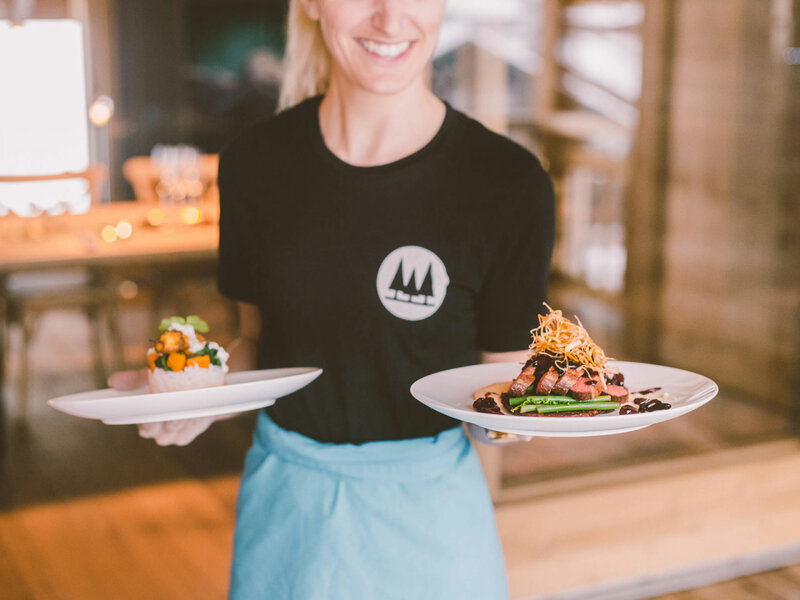 We are a small independent family owned chalet company who put a big emphasis on fantastic service, gourmet food and beautiful centrally located properties in Morzine. As a small owner run and operated business, we strive to make sure all our standards are kept consistently high in providing fantastic winter ski & snowboard holidays and summer biking & activity holidays for a variety of budgets. 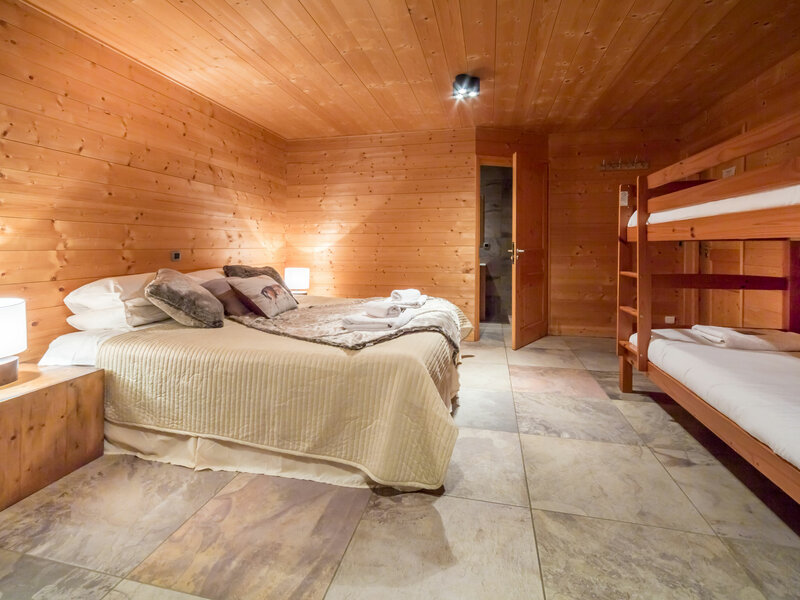 We pride ourselves in providing stunning catered and self-catered chalet accommodation in great locations and aim to make your holiday as easy and hassle-free as possible. We employ mature and experienced staff to run our catered chalets and always have resort managers on hand to help with any query. We know what it takes to make your holiday the best it can be and we really look forward to meeting you. Chalet Laurent has some of the best views in Morzine, slightly elevated from the village (but still only a 10min walk to the town centre) the chalet boasts stunning views across the town and over the valley. A highlight is the weekly impressive ESF torchlit descent, no place is better to view than this chalet with views directly across to the Pleney slope. 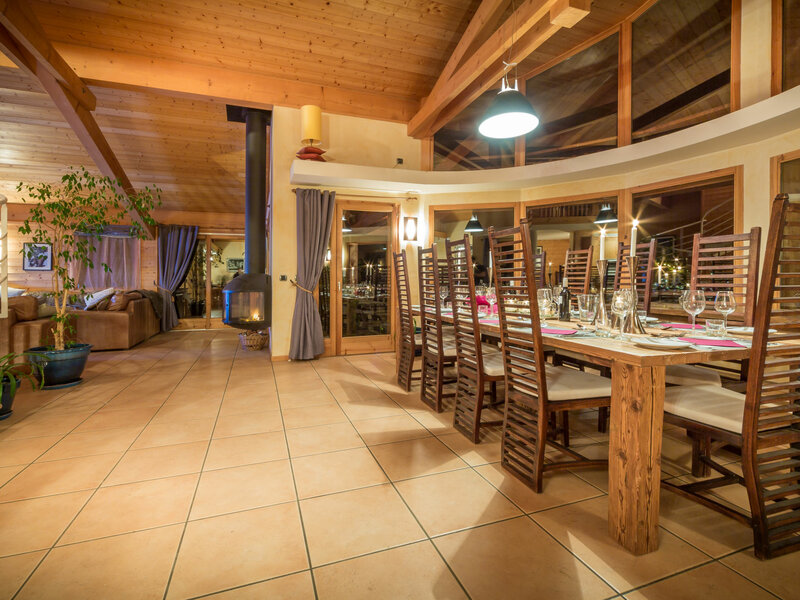 Chalet Laurent has the best of both worlds whether you fancy relaxing with a vin chaud by the glass fronted log fire or popping into town for an apres beer, you can do it all at Chalet Laurent. 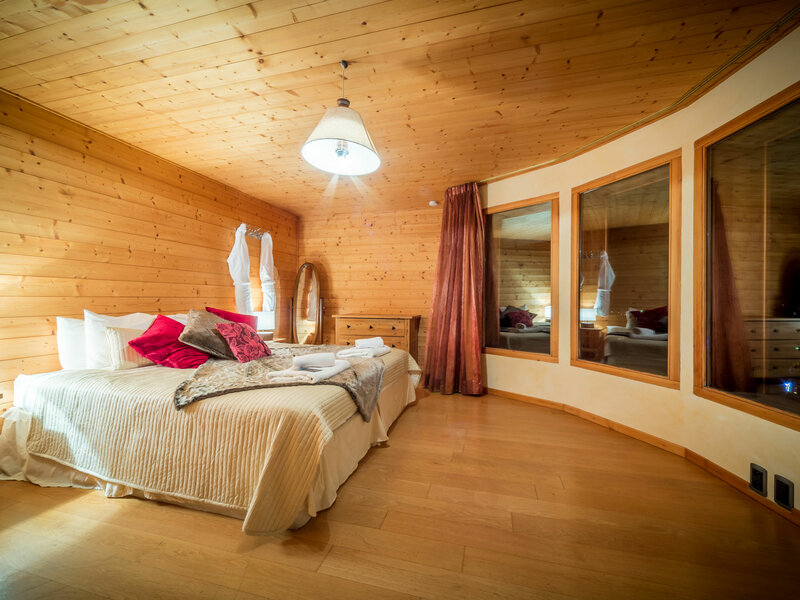 There is also a complimentary shuttle serve with this chalet, taking you direct to the ski lifts from the chalet at no added cost then our staff will collect you at the end of the day too so no walking in ski boots required! Morzine sits in the bottom of the valley at 1000m and has direct access to some of the best skiing and snowboarding in the Portes du Soleil, some argue the best skiing and snowboarding in the world! Its situation is ideal for every range and ability of skier or snowboarder. From the family friendly long blues of Les Gets and surrounding area to the off piste and freestyle parks & pipes of Avoriaz and beyond. Switzerland lies only 3 lifts from the chalet in Morzine which you can explore all day and never repeat the same run. The Portes du Soliel really does have something to offer everyone. Morzine is one of the few French resorts which still retains its local Alpine charm with picturesque chalets and local markets. The village is full of charm with great shops, bars and restaurants and lots of activities on offer for children & adults on and off the mountain with swimming pools, sledging (day or night), horse sleigh rides & live DJ's. If your planning a summer holiday - Morzine is perfect for a family activity holiday with so many activities on offer at really good prices as well as quickly becoming Europe's top downhill biking destination with hundred's of maintained downhill tracks or if you're into road cycling, come for a visit to conquer many of the famous surrounding Cols. WINTER - Fully Catered Price. Large discounts for group bookings and children, contact us for a quote. Prices include Breakfast, Afternoon tea and 4 course evening meal with free flowing wine.